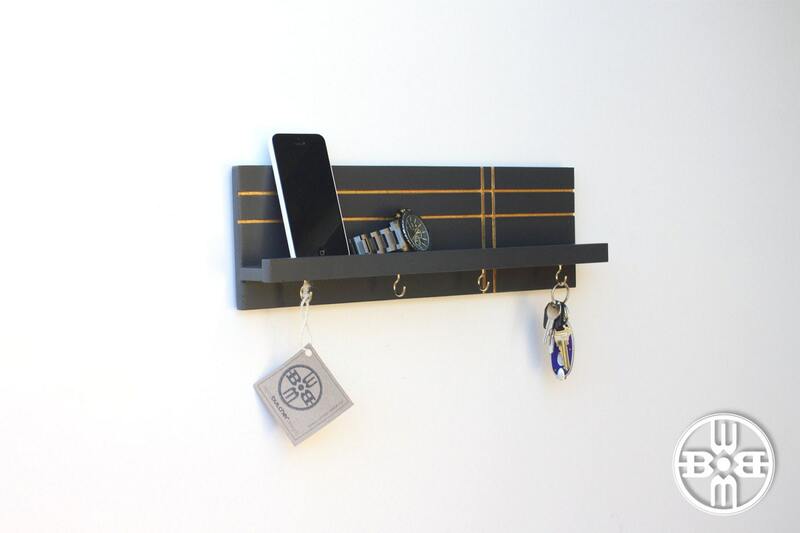 Our handcrafted wood key rack features a 2-inch deep shelf for storing phones, outgoing mail, or other items necessary to your daily life. 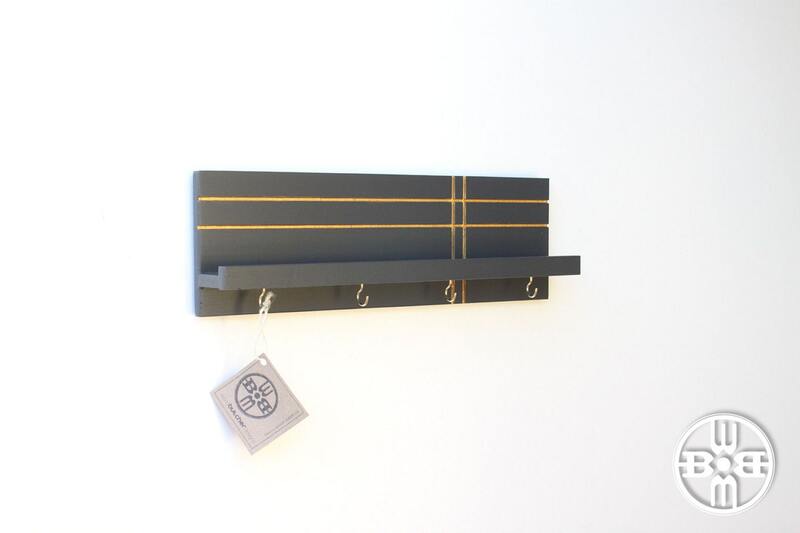 It also works great as an accessory organizer for hanging necklaces, bracelets and storing other small items. 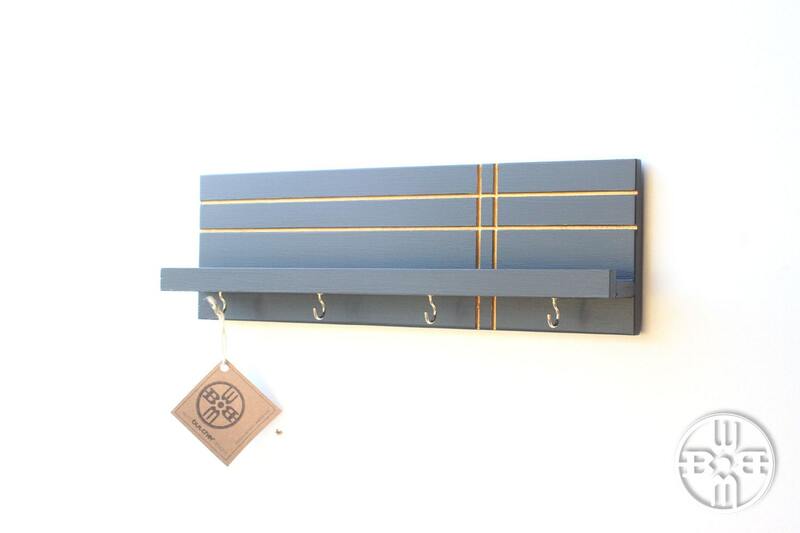 • Color: Dark gray with a modern matte clear coat and gold/brass accents. 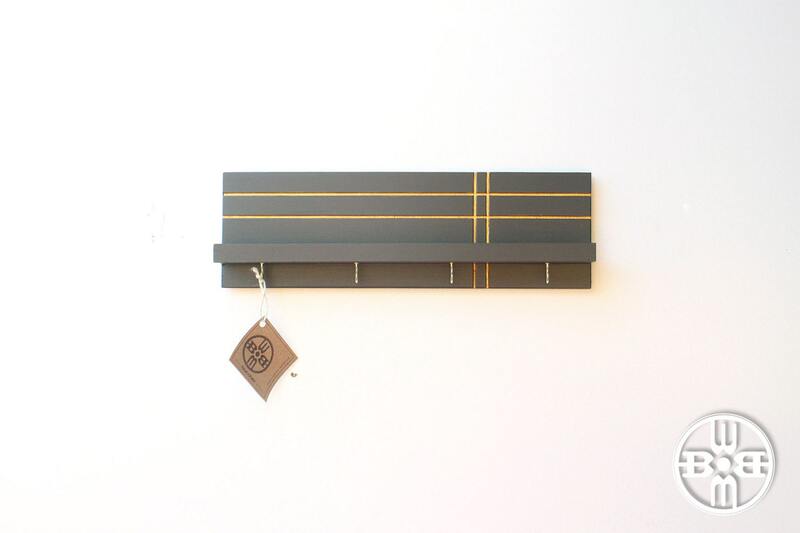 • Hooks: Choose between 4 or 7 cup hooks (see dropdown box to select). 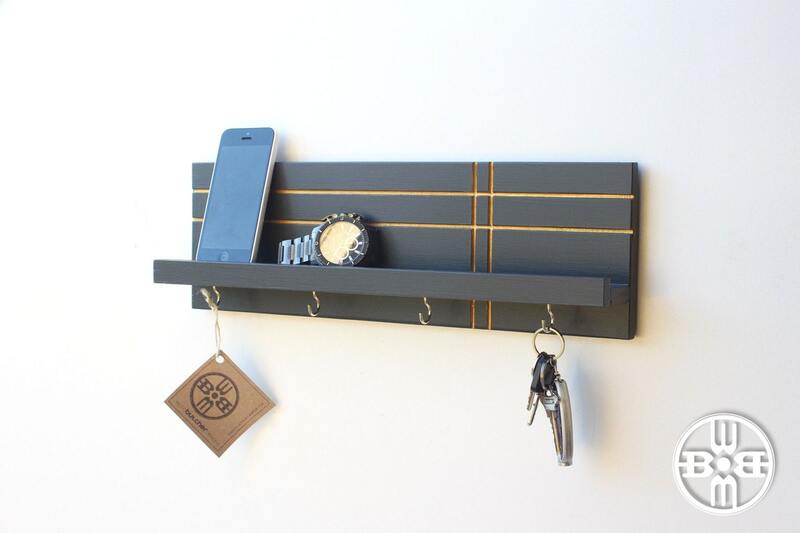 • Hanging key holder features four metal key hooks and a sturdy shelf for added functionality. • Custom orders ship via USPS in 7-10 business days after receipt of payment.